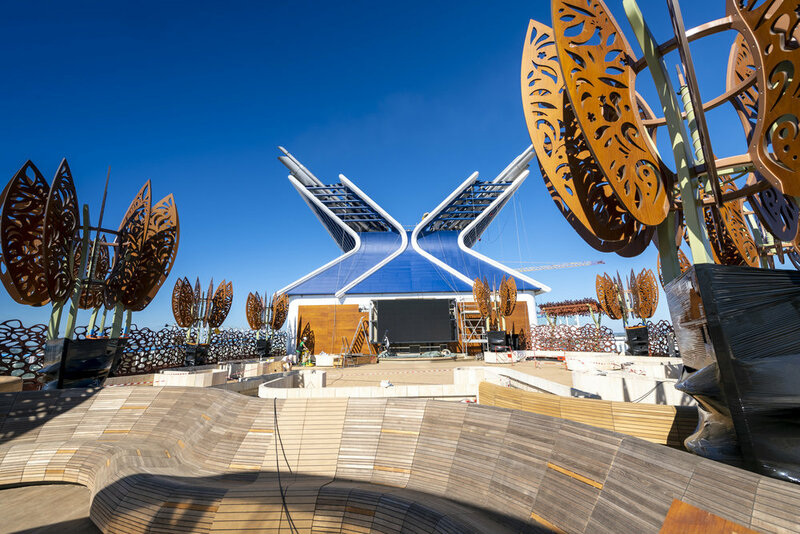 After more than four years of planning and 23 months of construction, Celebrity Cruises officially took delivery of Celebrity Edge, the cruise ship that promises revolutionary changes to the cruise experience. 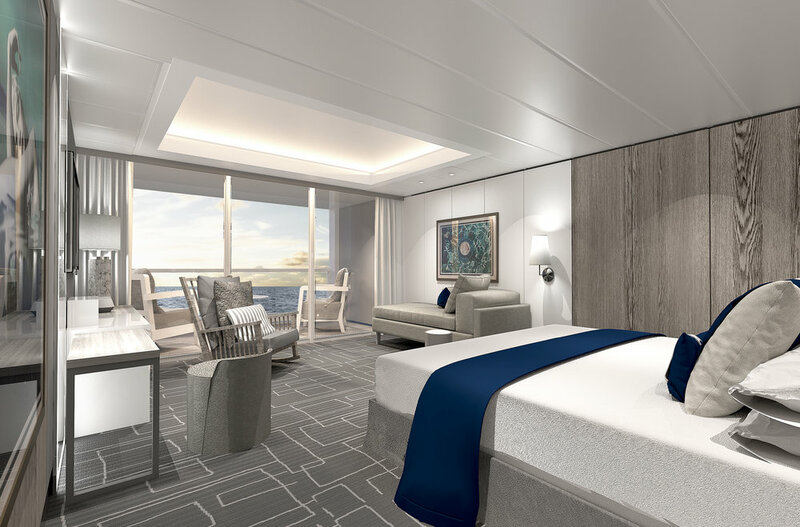 As part of the delivery, Richard Fain, Royal Caribbean Cruises Ltd.’s chairman and CEO; and Lisa Lutoff-Perlo, Celebrity’s president and CEO, hosted a ceremony aboard the ship while it was docked in the Chantiers de l’Atlantique shipyard in Saint-Nazaire, France. 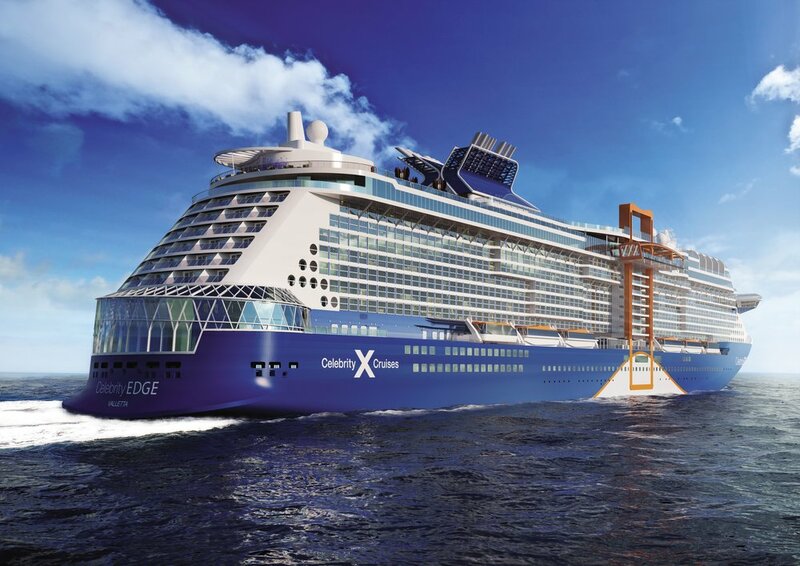 Following the Celebrity Edge check-signing and delivery ceremony, attendees made their way across the Chantiers de l’Atlantique shipyard for the ceremonial keel laying of Celebrity Apex, the second ship in the series, when a 762-ton block was lifted in the air and a lucky coin was placed on the dock before the block was lowered into position. 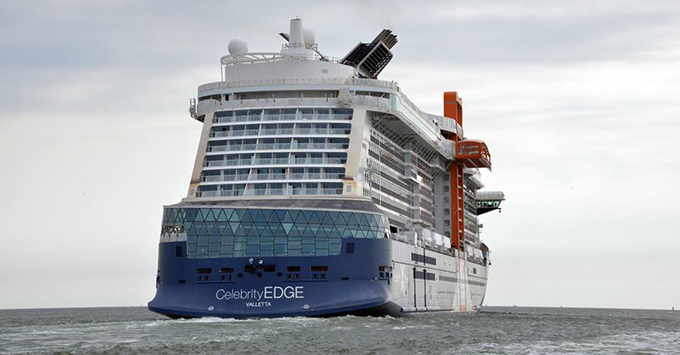 On Nov. 6, 2018, Celebrity Edge will begin her trans-Atlantic voyage to her home port at T25 in Port Everglades in Fort Lauderdale, Fla. The ship’s inaugural season will be spent sailing alternating seven-night eastern and western Caribbean cruise itineraries, with her maiden Western Caribbean voyage departing on Dec. 9, 2018, and her maiden Eastern Caribbean voyage departing on Dec. 16, 2018. 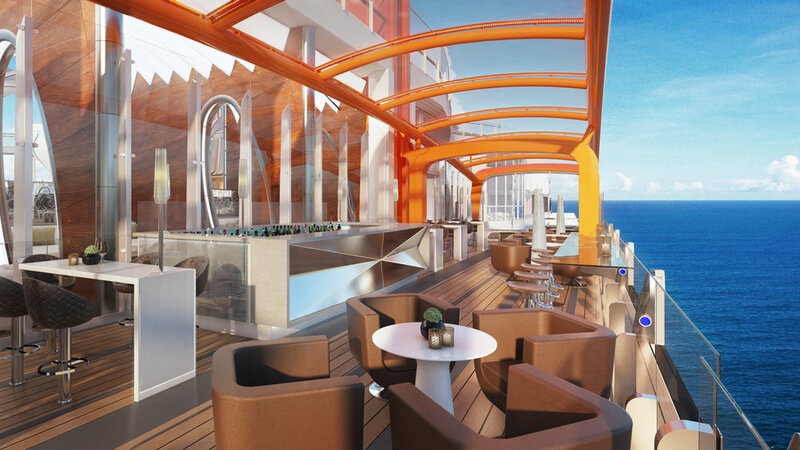 In spring 2019, Celebrity Edge will cross the Atlantic again to offer guests a series of 7 to 11-night Mediterranean sailings visiting ports including Barcelona and Rome. 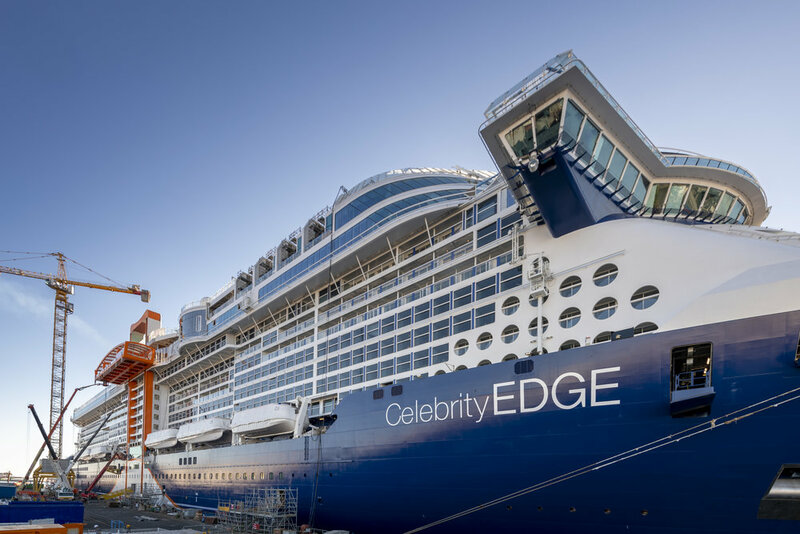 Celebrity Edge will be joined by her sister ship, Celebrity Apex, in 2020, and two additional ships in the Edge Series will follow in 2021 and 2022. 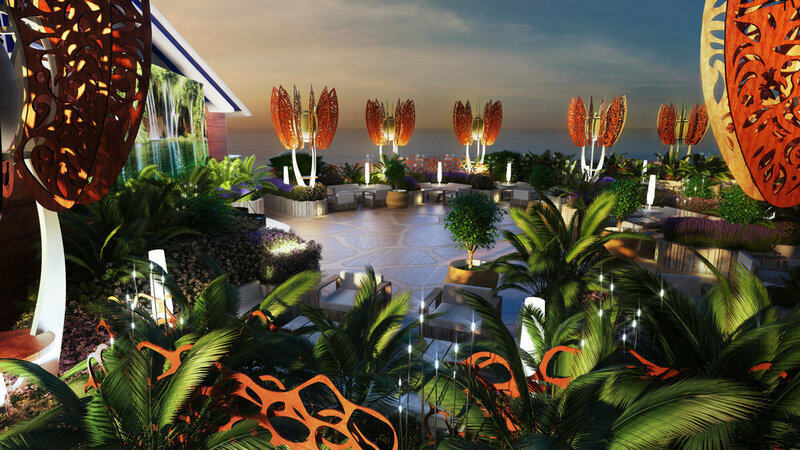 For more information, click on Celebrity Edge. Get updates, travel content, and be the first to know about exclusive deals! Yes! I would like to receive emails with news and special offers from Cruises & Beyond. If you currently have a preferred travel agent, please fill in his or her email address and your request will be forwarded to him or her directly.